Searching For A Fab Cafe In Mermaid Beach? We Got You. We reckon that Mermaid Beach is one more coffee shack away from actually turning into a puddle of the good stuff. And hey, we ain’t complaining. The witches have potions, the fairies have magic dust and the mermaids have coffee, everyone knows that. With basically everything within walking distance and new cafes popping up more often than the mermans for air, it’s no wonder that this cozy ‘burb has a huge range of sip spots to choose from. We’ve done the hard yards and found some awesome spots for you. 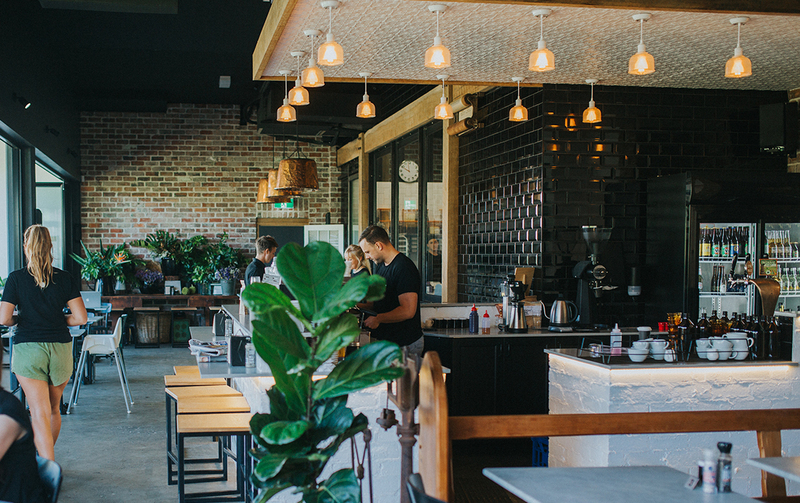 Pen and paper at the ready, heres where to find the best cafes in Mermaid Beach. From the dudes who brought you Palm Beach's Barefoot (Barista) and Burleigh's Borough (Barista), Background (Barista) is a must stop cafe in Mermaid Beach. Come for consistent coffee made with passion and generously portioned breakfasts like the famed Char Corn with char grilled corn salsa, Meredith goat's cheese, avo and poached eggs. Simply sensational. We just cannot say no to a good loaf. And Marie Anita’s Gluten Free Health Cafe have gotta be the best in town. Home to a luscious veggie garden out the back and serving up nothing but delicious eats and goodies out front, if you haven’t checked out MA’s, you’re missing out. 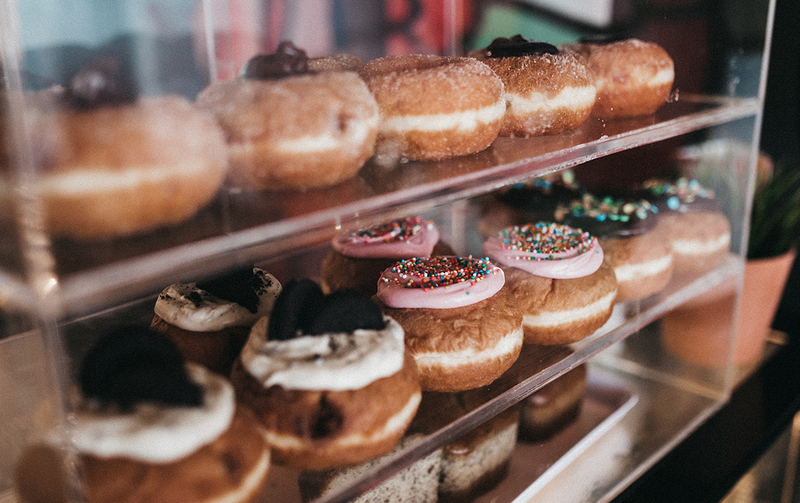 Gluten-free fruit filled pastries, organic veggie burgers and gourmet pies make up some of the best breakfasts in Mermaid Beach. Hang around a little longer for mushroom and olive spaghetti bolognese, vegan lasagne and hearty soups. Anyone who's been to Double Barrel had to apologise on their way to their seat because of the drool trail, it’s just the way it is. Dishing out delicious eats like the goat’s fetta infused butternut kipfler crush, butcher’s plate and fancy AF trout croquettes, there’s no wonder why locals keep coming back time and time again. Plus, the fit out is freaking adorbs. Póke Póke has coined the new definition of tropical cafe and we are totally loving it. A cafe with beers? Yeah, we can dig it. Island life vibes are captured perfectly with Poke’s Hawaiian-inspired menu, flamingo lined walls and refreshing smoothie bowls for days. If old school records and shiny electric guitars get your motor running, then Hula Girl Espresso is right up your dimly lit alley. Stop by for a hot one, a snack and even a side of fashun. This has gotta be one of the absolute best cafes in Mermaid Beach for the rock’n’rollers among us. Grab a burrito from the diner or manscape with a beard trim at the barber, it’s all happening at Alfred’s Apartment. Outdoor picnic tables scatter across an astro turf landscape for the perfect breakfast setup and leaving looking like a stud in newfound threads from Alfred’s surfer clad menswear store is a given. One of the most beautiful cafes on the Gold Coast, Bam Bam Bakehouse will have you leaving serious heart-eye emojis all over their Insta account. From the crafty team who brought us Paddock Bakery, you'll crush over the gorgeous styling with layers of textures and subway tiling, pressed metal, upcycled wood furnishings, fragrant blooms, leafy park views and dreamy glimpses into the bakehouse. Oh and their croissants are legit to die for. These guys live life to the motto of coffee, food and surf and we can totally relate. Hanging out on the GC Highway, Ocean 4218 is one of the best cafes in Mermaid Beach to scoot into on your way to work. Best of all, they’re baking up cinnamon puffs, cookin’ B&E rolls, stuffing BLTs and building your chia puddings from 5:30am, seven days a week. Tucked away beneath the Mermaid Beach surf Club, Rafiki By The Sea makes us wanna ‘Simba’ with our coffee fluff. No joke, cozying up in the sun with a pina colada bowl, cuppa and a stack of hessian furniture gives off serious bahamas vibes. This absolute beachfront locale means that after you finish your breakfast in Mermaid Beach, you’re just a few steps from a refreshing splash. What’s not to love? 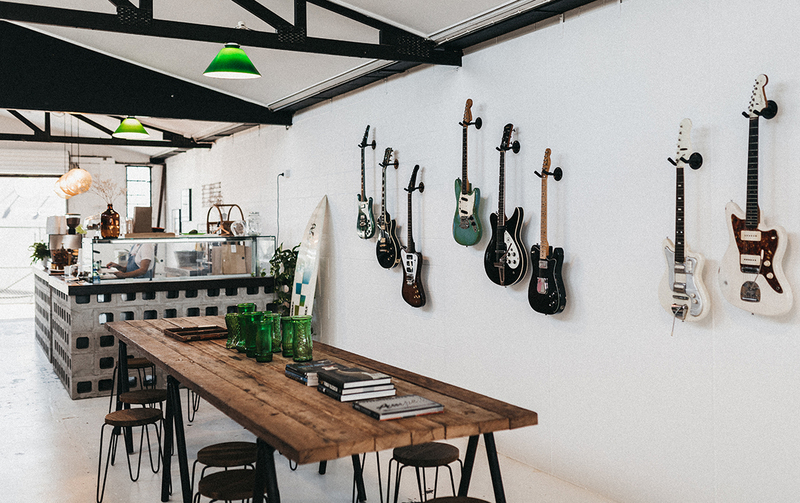 A swell lover’s dream, browse vintage surfboards or pick up a sled to tackle your next wave, when you pop into Mermaid Beach’s favourite neighbourhood surf shop, Board Culture. 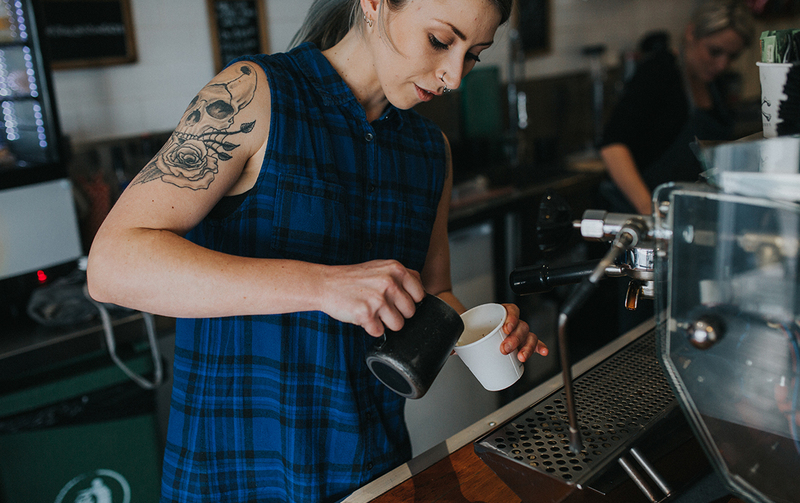 Guzzle a $3 cuppa, grab a homemade slice and chat with BC’s chief, Trav, about the most important things in life…like where to hang out on a Sunday after dark and who has the best breakfasts in Mermaid Beach. Little Mermaid’s seasonal brunch menu is the talk of the town. 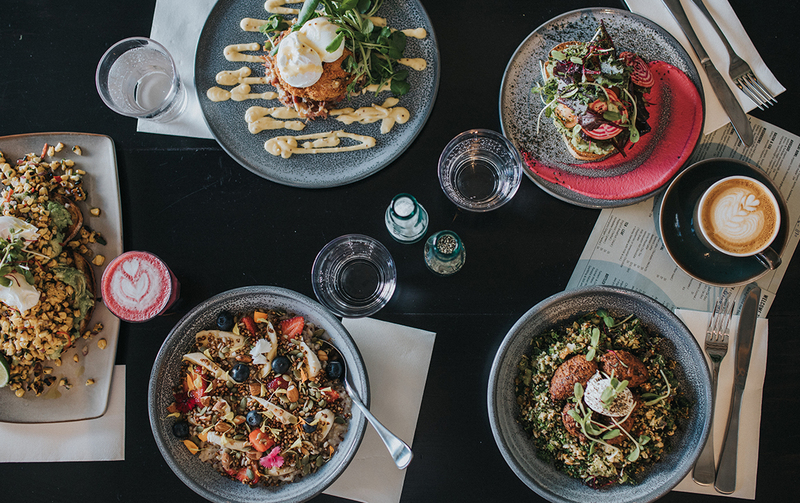 From truffled corn and feta fritters and char-grilled barramundi, to chorizo scrambles and calamari salads—all washed down with a milkshake or two. Plus, you’ll even score free coffee for a whole week if your street is featured as part of their ‘Street Of The Week’ shout out. This rainforest retreat is a vegetarian’s haven and an Instagrammer’s best friend with a seriously gorge interior. Among their lovely cuppas, The Milkman's Daughter offers up a bunch of moreish brekky options on offer such as creamy mixed berry porridge, herbed avo smash and lemon ricotta pancakes. Made your way through the best cafes in Mermaid Beach? You deserve a medal! How about hitting Burleigh’s best breakfasts next.